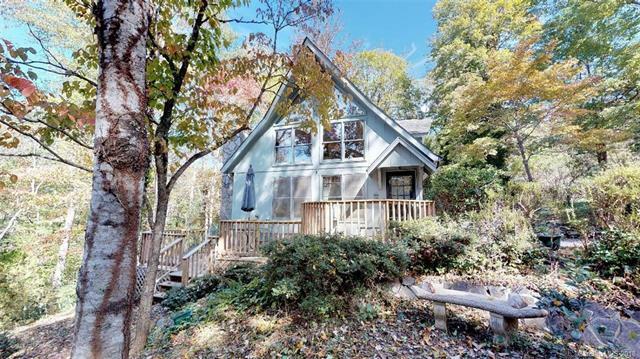 MOUNTAIN TRANQUILITY - This private 3BR, 2BA retreat on 2.5+/- acres boasts close mountain views and woodland privacy. This beautiful home includes an open floor plan, large kitchen, 2 story great room with fireplace, master bedroom on the main floor, and massive decking for outdoor entertaining. The grounds include several outbuildings including a newer 30 x 40+ metal workshop. This home is a short commute to the Asheville area and is near I40. You must see this home. Sold by Nest Realty Asheville. Offered by Joanne Howle Realty. Copyright 2019 Carolina Multiple Listing Services. All rights reserved.